When Prince Charles proposed to Lady Diana Spencer in February of 1981, he did not have an engagement ring. It was only later, after she agreed to marry him that Lady Diana was presented with a selection of beautiful rings from Garrard, the Royal Family’s jewelers, to choose from. Diana carefully selected a lovely sapphire engagement ring that was surrounded by a halo of diamonds. Some criticized her selection, but it is said that sapphires were one of Princess Diana’s favorite gemstones. It has often been suggested that she chose to wear a blue sapphire halo because it reminded her of her mother’s engagement ring. Her ring consisted on a stunning 18 carat oval blue sapphire and 14 brilliant cut diamonds. 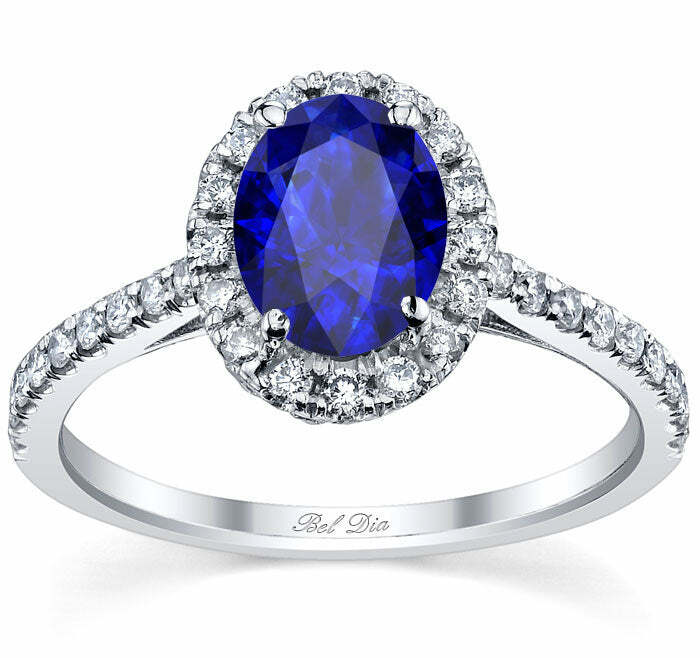 Royal blue became one of her signature colors and sapphire engagement rings became coveted, iconic pieces of jewelry. deBebians offers an array of updated styles of blue sapphire halo rings that are perfect for engagement rings, such as either of these oval blue sapphire engagement ring settings. We also specialize in creating custom pieces, if you would like to modify one of our settings to your liking. Today, her blue sapphire halo ring is back in the spotlight again. Prince William presented his late mother’s engagement ring to Kate Middleton when he proposed marriage. “It’s my way of making sure my mother didn’t miss out on today,” he later explained. More than ever, sapphire engagement rings have become popular choices for couples that are becoming engaged. Blue sapphire halo rings, in particular, are among the most desirable. Gemstone engagement rings are not only incredibly beautiful, they are also unique and rare, like the women that are lucky to wear one.